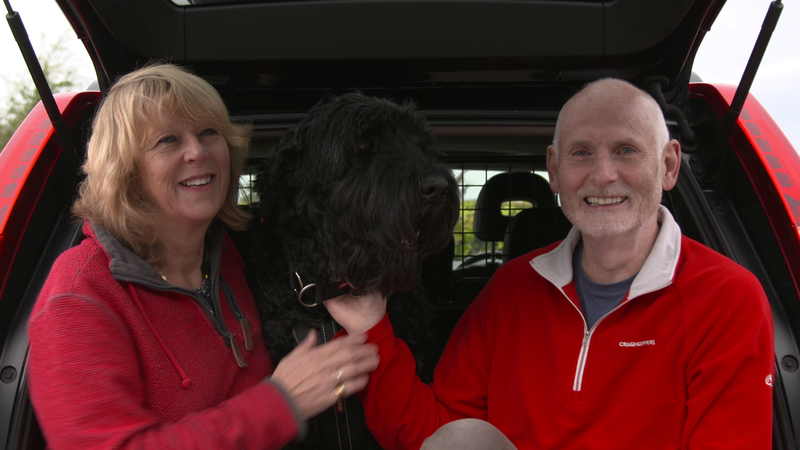 Lynne and David make the three hundred mile trip from County Durham for an urgent appointment with Noel with their seven-year-old Russian Black Terrier, Raz, who has been diagnosed with a cancerous growth in his left leg. The couple hope they have come to Noel in time before the cancer has spread elsewhere in his body. The couple desperately want to save Raz’s leg. Noel offers them hope by performing an operation to cut out Raz’s primary tumour and put in a metal implant called an endoprosthesis. But the operation is high risk and unfortunately infection sets in. The battle is on to save the leg and to save Raz. Lynn and David are from County Durham and have a great fondness for Russian Black Terriers, a rare breed of dog in the UK. The family have two, Raz and Lishka, who are both very important to the couple. 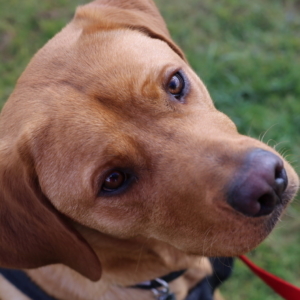 Raz was diagnosed with an osteosarcoma in the bone of his right forelimb by his primary care vet - a massive blow to the couple, and especially hard for Lynne who had suffered the loss of very close family member in the past year. 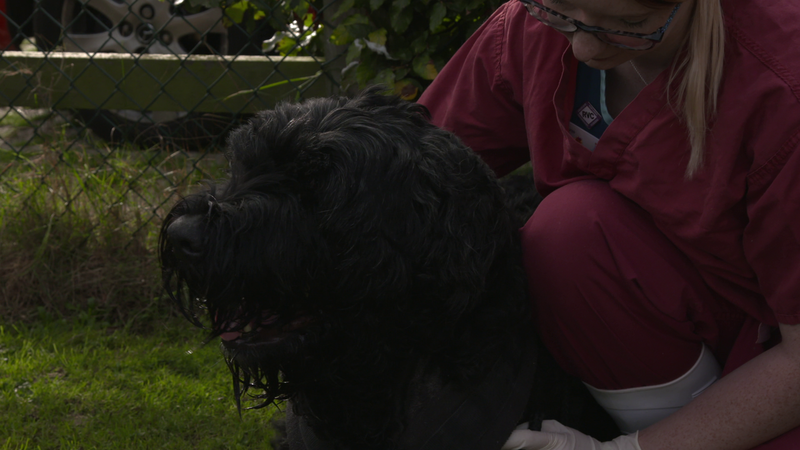 Neither Lynn nor David wanted to see Raz suffer, and were keen to see Professor Noel Fitzpatrick to find out if a life-enhancing solution was available for Raz. Before Noel could discuss limb-sparing surgery, the team had to investigate whether the cancer had spread to anywhere else in Raz’s body. Fortunately, Noel could not see any evidence of cancer spread on the x-ray pictures or CT scans and, although that did not mean that it had not spread at a cellular level, it meant that limb salvage options were possible. The family wanted to try and give Raz as much time as possible on all four legs and opted for the endoprosthesis, whereby the cancer and associated bone is removed entirely and replaced with a metal implant that bridges the gap between the lower and upper leg. Noel was able to perform the surgery immediately, so took Raz to theatre. 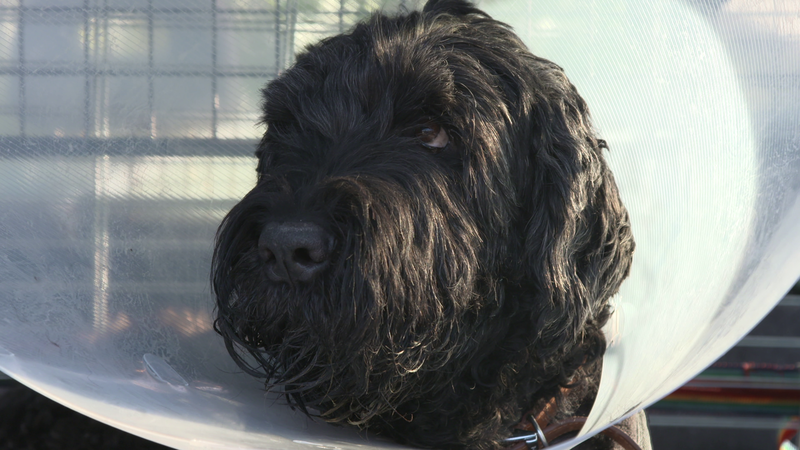 Sadly during his recovery at the practice, Raz developed an infection, a real risk of this surgery. 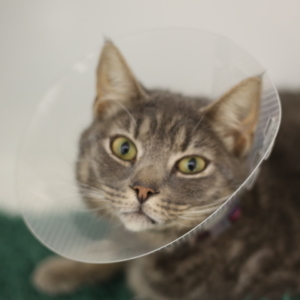 Raz had to remain in the isolation ward and the team were doing all they could to help him get through it. After a few weeks Raz was walking well, but the infection remained. At this point, Noel recommended that Raz continue his antibiotic treatment at home with Lishka, who Lynn and David had also brought in to see Noel to treat her lumbosacral spinal pain. Raz returned to the practice to have chemotherapy to help stave off the return of the cancer. However, the infection continued to remain a problem, and the family were in a terribly difficult position. Their options were becoming fewer and, with the infection taking such a hold, it was becoming more and more likely that they would need to amputate his leg. Given everything that Raz had already been through including major surgery, infection, the need for ongoing chemotherapy and the terminal prognosis of the cancer, the family were deeply concerned that amputation wasn’t the right thing for Raz. The family did their very best, and only wanted to do what was right for Raz with every decision they made. It was with great sadness that they made the heart-breaking decision to let him go peacefully, a decision the Fitzpatrick team fully supported. Lishka continues to do well with her condition being managed without surgery. Lynn and David are determined to enjoy every moment with Lishka, remembering Raz through her, and finding comfort in knowing they prioritised Raz’s wellbeing over everything, and that their dogs are deeply loved.